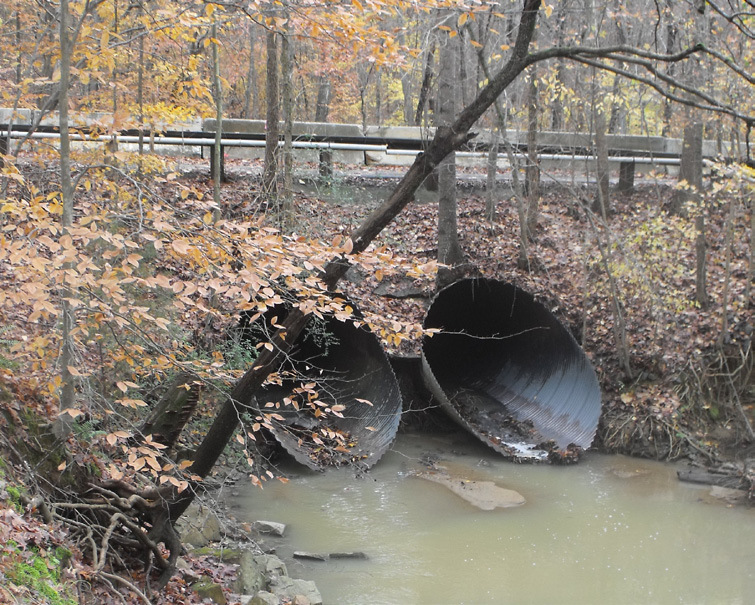 Pomona Pipe Products Richard Burrage Inc.
A 40 year old corrugated metal pipe culvert on Overbrook Drive in Concord, North Carolina, failed and the City was in need of a fast and cost effective emergency bridge replacement structure. It was important to the City that they chose an environmentally friendly product to replace the structure in order to have a minimal effect on the existing stream bed. Aluminum Structural Plate (ALSP) was chosen because it not only provided the clear spans needed for the stream but it also provided a fast, easy, durable and low-cost installation. Pomona Pipe Products and Richard Burrage Inc. installed 63 linear ft of 17 ft by 8 ft Aluminum Structural Plate with ALSP headwalls. The structure was assembled and installed in just one weekend.